So you enjoy your daily cups of coffee. But how much do you know about the caffeine that’s in it? According to the National Coffee Association, next to water, coffee is our choice of beverage. On average 59% of Americans have a cup of coffee daily while as much as 71% have a sip of java at least once a week. Caffeine is the active ingredient in coffee. And because coffee is consumed so much around the world, caffeine has become the most common stimulant across the globe. We all know that it’s the caffeine in coffee that gives us that extra boost of energy or helps wake us up in the morning. But what more do you know about this substance. And more importantly should you keep consuming so much of it? Drinking coffee is a ritual for most of us. We have one in the morning before work and maybe another later in the day. If you enjoy the flavored coffee drinks or the iced coffee drinks you may end up drinking more than a few cups a day. Many years ago, coffee used to be seen in a bad light. For some, it can cause heart palpitations and anxiety right after you finish your cup. However, research over the years have proven that drinking moderate amounts of coffee daily is quite beneficial to health. 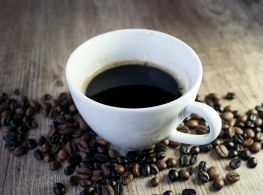 A review published in the American Journal of Epidemiology pooled studies on coffee from 1996 to 2013 to analyze the effects of long term coffee consumption to health. From 21 different studies, what they observed was drinking 3 or 4 cups of coffee daily was associated with the largest reduction in risk for cardiovascular disease. In other studies, coffee consumption has been linked to reduced risk of total mortality, as it has been shown to protect against type 2 diabetes, Parkinson’s disease and other health conditions. However, the Mayo Clinic recommends an upper limit of 400 mg of caffeine a day, which comes out to about 4 cups of coffee. It also notes that drinking more, 500 to 600 mg for example can results in side effects like irritability, fast heartbeat, insomnia and nervousness among others. As healthy as coffee may sound, it, like everything else can be harmful when in some instances. We’ve seen that drinking coffee helps with improving our cardiovascular health profile. However, the caffeine in coffee can also cause blood pressure to increase. If you have a family history of hypertension, or currently have high blood pressure, limiting the amount of caffeine you consume is essential. 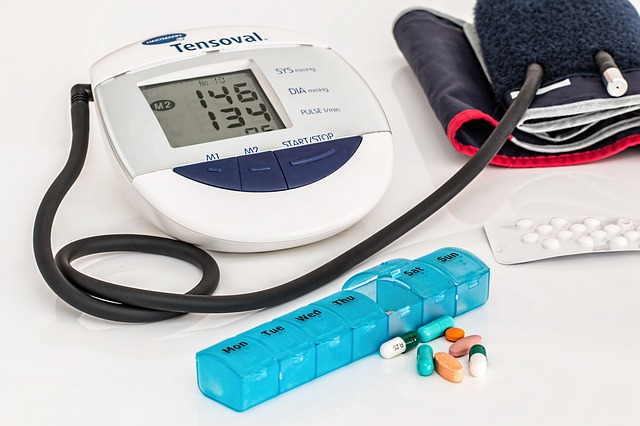 According to the St. Vincent’s Hospital and Clinic in Sydney, Australia, hypertensive participants who were given 250 mg of caffeine showed significant increases in systolic blood pressure after consumption. Review of various studies from 1996 to 1999 by researchers at the University of Helsinki in Finland also concluded that regular coffee consumption for patients who are prone to hypertension may be harmful. More interestingly, where you get your caffeine seems to affect how much your blood pressure goes up. 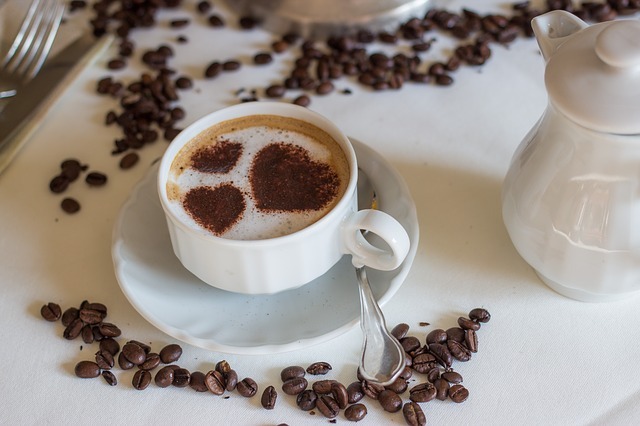 A study done by the Department of Nutrition at the Wageningen University in the Netherlands observed that while coffee raises blood pressure, the increases it makes isn’t as big as those when caffeine is consumed. This tells us that it is caffeine we should be aware of. And because it caffeine is present in a lot of different food and beverages (see below) you’ll want to control not only coffee but overall caffeine consumption. We all know that the caffeine in coffee and energy drinks helps keep us awake. In fact, that’s one of the primary reasons we drink these beverages. Either to wake us up in the morning or keep up going when we need to do overtime. What many of us don’t know is how long the effects of caffeine is. According to a study published in the American Journal of Clinical Pathology, caffeine has a mean half life of 5.7 hours. Half-life refers to the time it takes our bodies to metabolize a substance. Keep in mind that the figure represents the mean. Depending on whether you have fast or slow metabolism this could reach as long as 8 hours or more for some. If you have impaired liver function it could go for as long as 60 or even 168 hours, as the researchers observed. This means that drinking coffee or anything with caffeine at 2 p.m. or 4 p.m. could still keep your up at 10 p.m. in the evening. It also means that coffee, a bar of chocolate or even ice cream for dessert after dinner could disrupt your sleep quality. 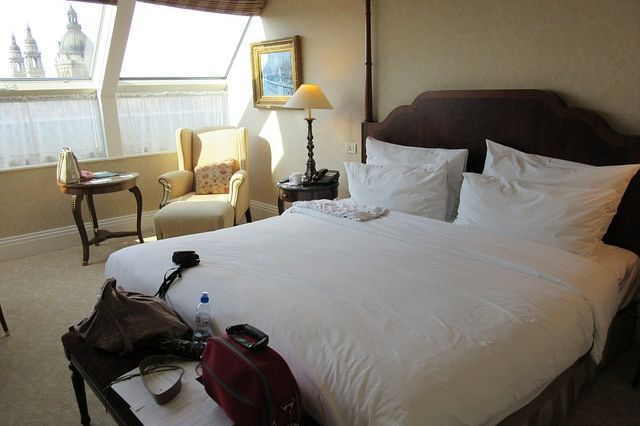 This can result in you waking up tired and not being able to concentrate on work the next day. Over time this affects overall performance. Depending on what type of coffee you drink, what brand you buy or what coffee shop you buy it from, you’ll get varying amounts of caffeine even if you drink the same sized cup each time. 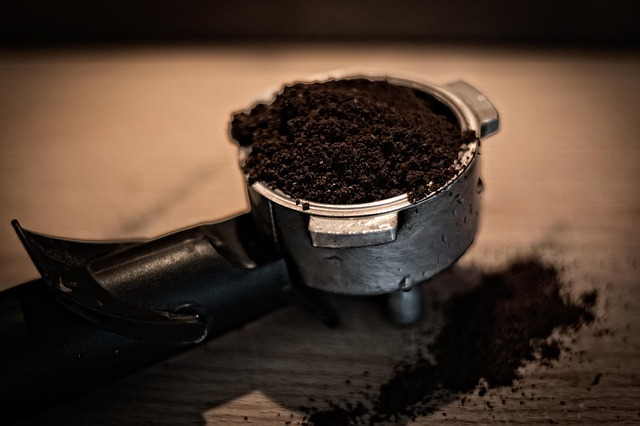 Brewing coffee at home with instant coffee can also give you different amounts of caffeine. According to the Mayo Clinic, an 8 ounce pack of instant coffee can carry as little as 27 mg of caffeine or as much as 173 mg. The same is true if you brew your own coffee. With each 8 ounce cup offering between 95 to 200 mg of caffeine depending on the type of beans and how finely or coarsely they’re grinded. Just as importantly, decaf does not mean totally decaffeinated. For example, a 16 ounce decaf coffee from your favorite brand like Starbucks or Dunkin’ Donuts can have between 15 to 25 mg of caffeine. Your own brewed decaffeinated coffee has less at around 2 to 12 mg per cup. It’s definitely a lot less than regular coffee, but understand that is isn’t caffeine-free. 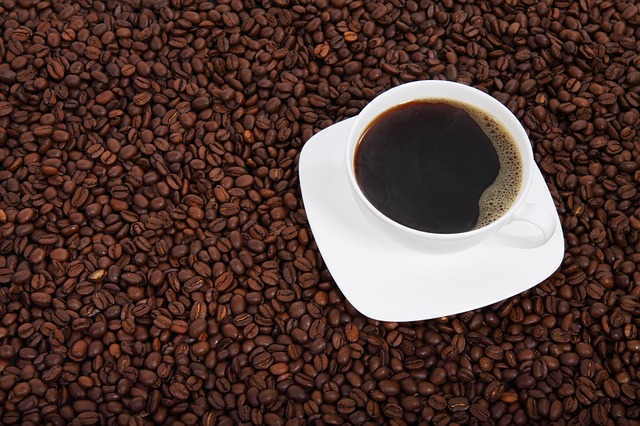 While coffee is one of the main sources of caffeine, it isn’t the only one around. 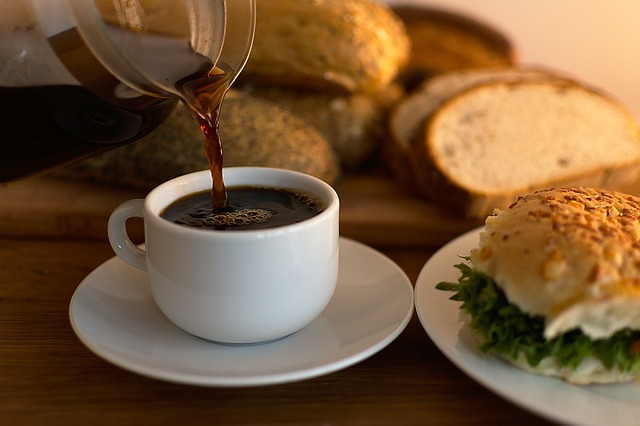 There are a lot of common foods and drinks that contain caffeine. While we don’t recommend consuming sugary drinks, you can go for many of the non-cola products to avoid any of the effects of caffeine. Ordering the orange or clear soft drinks like Fanta, Sprite or 7-Up will help you avoid it as these have no caffeine in them. In the same way many cola and some root beer drinks contain the substance, it is also an active ingredient in energy drinks. This one may probably surprise you. But if you’re ordering coffee, mocha, espresso or chocolate ice cream, there’s a good chance that there’s some caffeine you’re going to get. 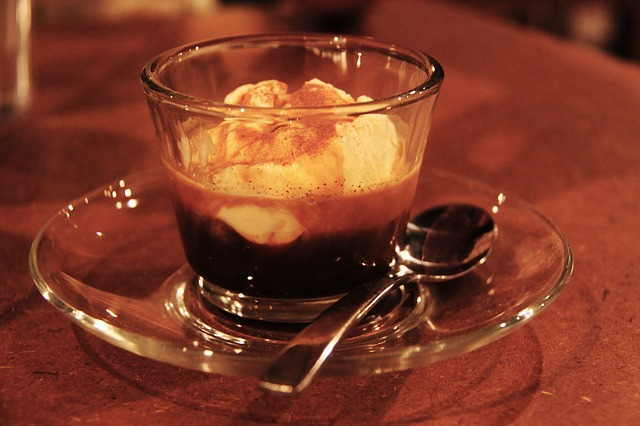 Of the flavors listed above, chocolate has a smaller chance, but depending on the brand, you may or may not get the stimulant included in the ingredients. Finally, you’ll also find it present in a number of snacks, specially those that are coffee or espresso flavored. Some snacks that are specifically used to help you stay up have them, but even chocolate bars and also cocoa powder include some. Because caffeine is hidden in some of the food and drinks we regularly consume, it contributes the metabolic related problems like obesity and diabetes. As shown above, caffeine is present in many sugary drinks, including the most popular ones. It is also present in a number of soft drink alternatives like iced tea. 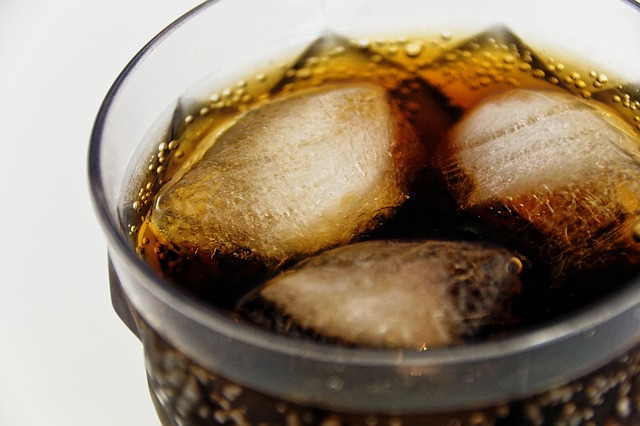 Statistics show that the amount of soft drinks being consumed had gradually decreased over the past 14 years. However, as of 2014, the average American gulps down over 43 gallons of soft drinks annually. That’s a load of sugar and fructose. It’s an improvement from the 53 gallons per person in 2000, and 57 gallons per person in 2002, but that’s still a lot. With a big chunk of the market owned by the cola drinks, sodas adds to our daily caffeine consumption. Because caffeine, by its nature is addictive, this contributes to us and our kids wanting more sugary drinks, which has been proven to be one of the reasons why obesity and diabetes have been increasing. If you need your caffeine buzz, but want something that offers more health benefits, try drinking tea. Studies have associated drinking tea to weight loss, as well as reducing the risk of diabetes, heart disease and even cancer. It helps lower cholesterol levels and also improves mental alertness. Depending what type of tea you have you get a different combination of polyphenols, catechins and antioxidants. All of which contribute to achieving the health benefits mentioned above. As you would expect, brewing your own tea would be healthier as it contains no sweeteners or other additives. When it comes to teas, you do get some caffeine, but considerably less than those in coffee. With commercial names, you also get the stimulant. But keep in mind that they also add a number of different other ingredients to enhance the taste and flavor. If you drink coffee regularly or consume caffeine on a regular basis, you need to make sure you get enough calcium in your diet. Studies have suggested that heavy coffee drinkers are at greater risk of bone fractures and that caffeine consumption is associated with lower bone mass. Research also shows that caffeine interferes with the body’s absorption of calcium. While the negative effects of caffeine on calcium absorption exists, researchers at Creighton University observed that getting sufficient calcium based on the recommended daily allowances prevents the bone loss and fracture risk increase that’s associated with caffeine. 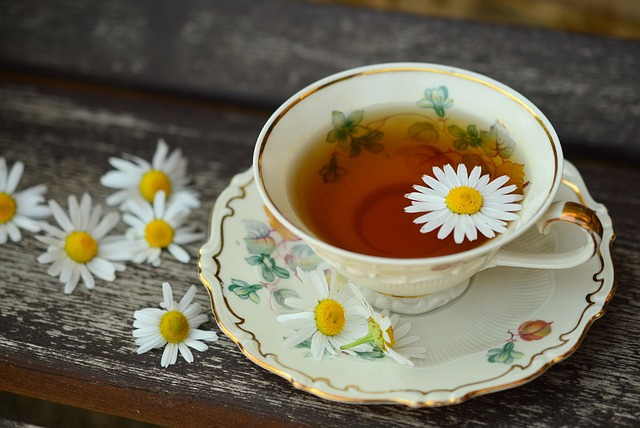 One alternative that scientists are looking into is the irony of tea, which contains some caffeine but seems to have some bone enhancing abilities. They are contributing this its polyphenol content, which is also found in fruits and vegetables which help with bone mineral density. More studies in this matter however, still need to be done. Food & Nutrition, General Health, Must Reads. permalink.